Only ever having watched the 1973 movie and never having read the book, I decided it was high time to put this right. 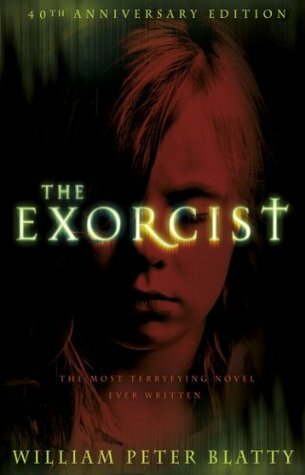 The Exorcist became my Halloween read of 2018. I was fully prepared to be terror-stricken and chilled to the bone but, to be brutally honest, it fell short in the 'scary' stakes. Although an excellent read and one I very much enjoyed, I've been spoiled by the movie's special effects. It was these that had me truly terrified. Had I read the book before seeing the movie, I'm sure it would be a whole different kettle of fish. Written an amazing 47 years ago, it really does stand up to the test of time. I appreciate it for what it is - a classic work of horror; an extremely accomplished novel that continues to be as popular today as it was back then. The terror begins unobtrusively. Noises in the attic. In the child's room, an odd smell, the displacement of furniture, an icy chill. At first, easy explanations are offered. Then frightening changes begin to appear in eleven-year-old Regan. Medical tests fail to shed any light on her symptoms, but it is as if a different personality has invaded her body. First published in 1971, The Exorcist became a literary phenomenon and inspired one of the most shocking films ever made. This edition, polished and expanded by the author, includes new dialogue, a new character and a chilling new extended scene, provides an unforgettable reading experience that has lost none of its power to shock and continues to thrill and terrify new readers. William Peter Blatty was born in 1928 in New York City. His parents were Lebanese and his very religious mother sent him to Catholic schools. He got his first degree at Georgetown University and his M.A. in English literature at George Washington University. Afterwards, he went into the Air Force; it was during this time that he began his career as a writer. 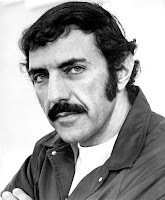 He is perhaps best known as the author of The Exorcist and the writer/producer of the 1973 film based on that novel (he won an Academy Award for Best Adapted Screenplay). An accomplished screenwriter and novelist, he authored books such as The Ninth Configuration, Legion, and Demons Five, Exorcists Nothing. He also directed the film versions of Legion (aka "Exorcist III") and The Ninth Configuration. He died aged 89 in 2017.